A new dsungaripterid species from Brazil. I finished #4 before #3, but Tupandactylus will be declared finished some time this weekend. As usual, finished means 95-99% done. I can always correct something, rip out a bone, reshape. I only add resin to the parts which may wear out (jaw and spine connections), so I can always improve other parts of the skull as I learn more about it. 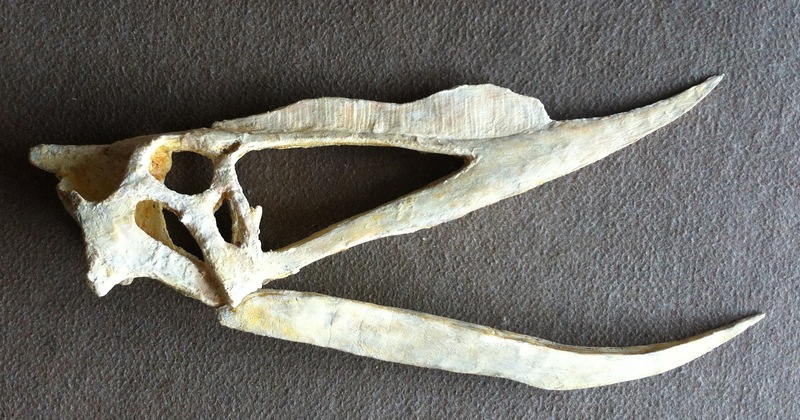 This specimen is a truly imaginary pterosaur, but that may change. It is based on yet unpublished research, and it does have proposed species and specific names. 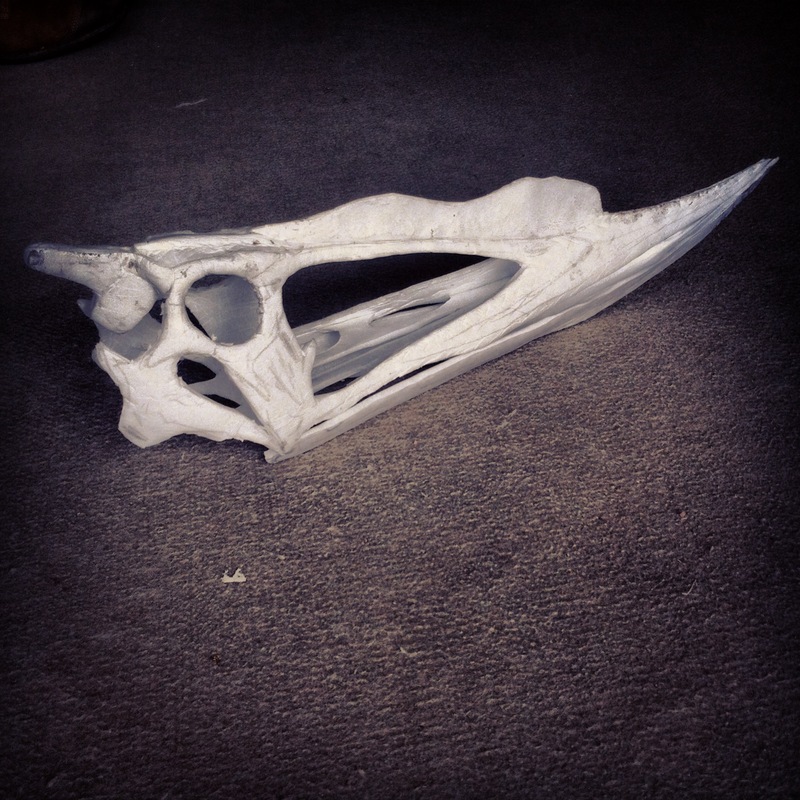 When all of that becomes public, I will update this blog and change the category names for the posts on pterosaur #4. 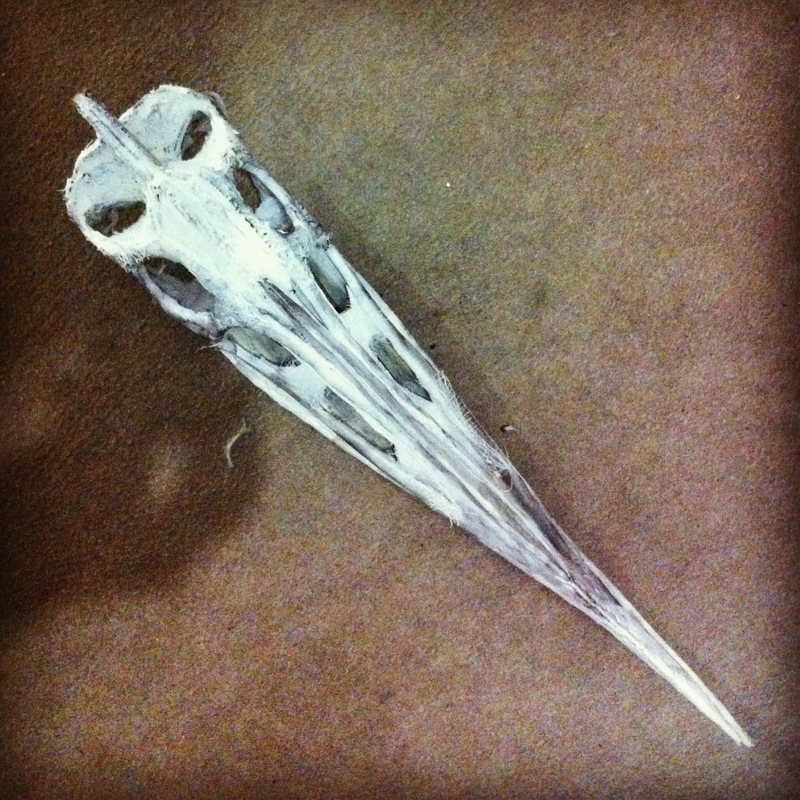 But, of course, there is a chance that the article may be rejected, and that this pterosaur does not really exist. 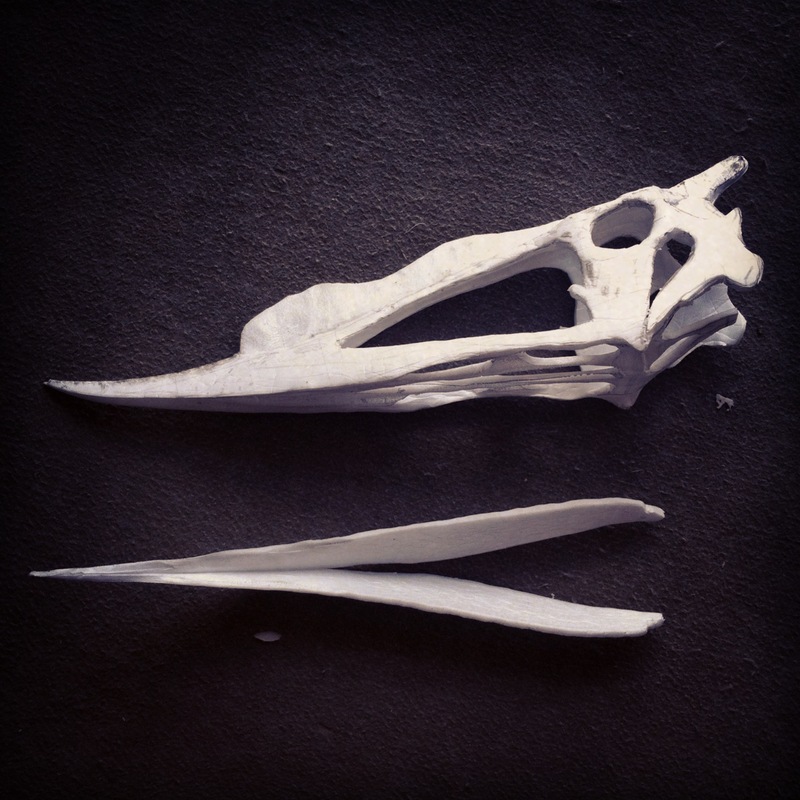 If that happens, I might add some teeth and transform pterosaur #4 into the chinese Dsungaripterus, or leave it the way it is, Imaginary, until someone digs one out someday 🙂 Below are some pictures of the finished skull. This is a view of the skull from underneath showing the palate. It is completely speculative. Most fossils are closed and don’t show these details, so I based it on the other pterosaurs that I have studied so far, like the Anhanguera. I still need to see better pictures at different angles to understand how to make a good pterosaur palate. These views have the mandible connected. 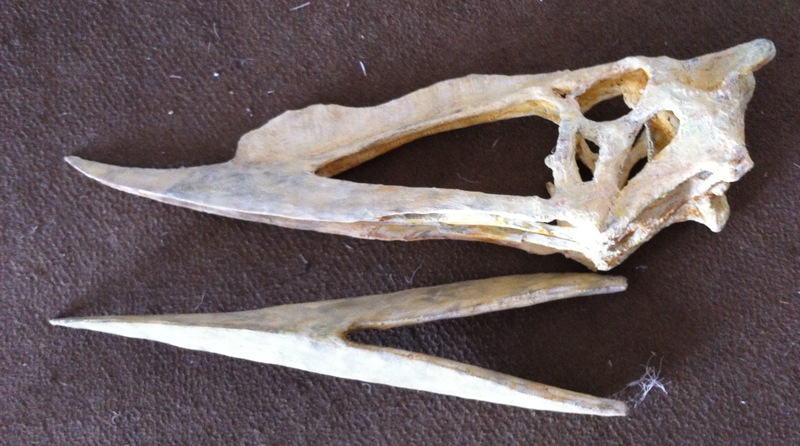 Soon I will start making the body of one of the last three pterosaurs: Anhanguera, Tupandactylus or Pterosaur #4. I still haven’t decided which one. 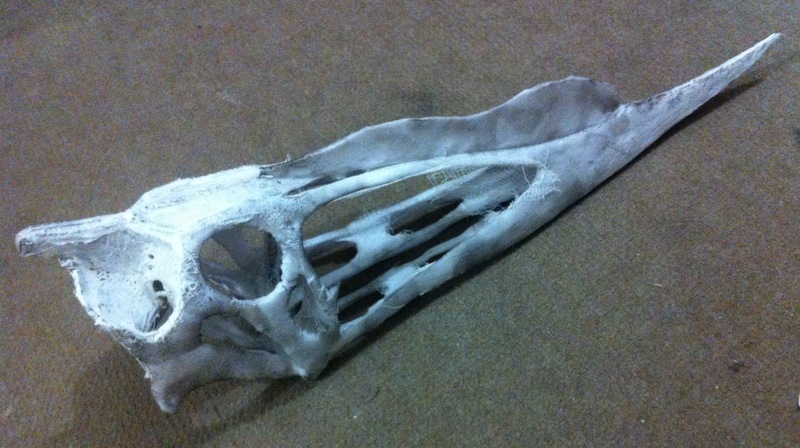 There is no more foam work to do for the unnamed toothless dsungaripterid. Just gauze and acrylic resin. The mandible is done. 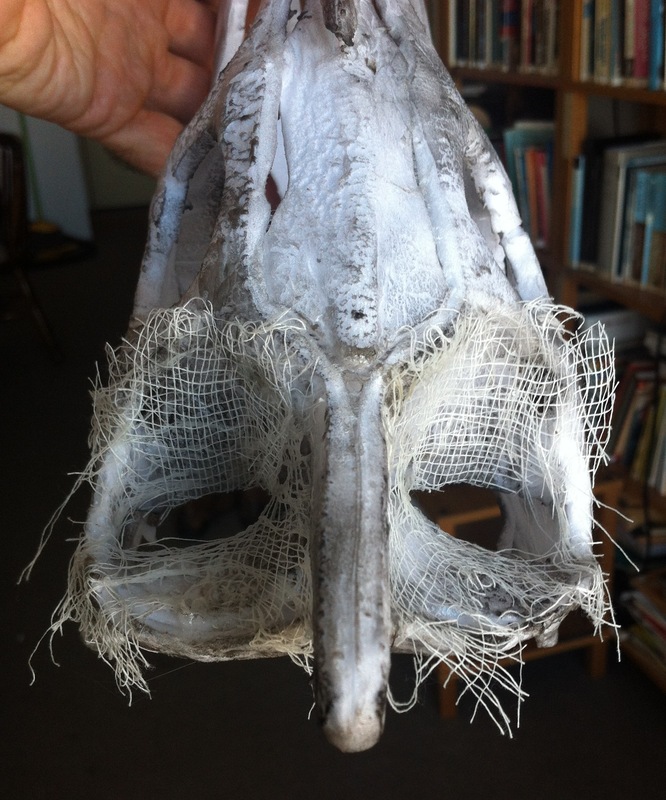 I just started to add the gauze to fill the gaps in the head cavities. This is a view of the top back showing the upper temporal apertures. 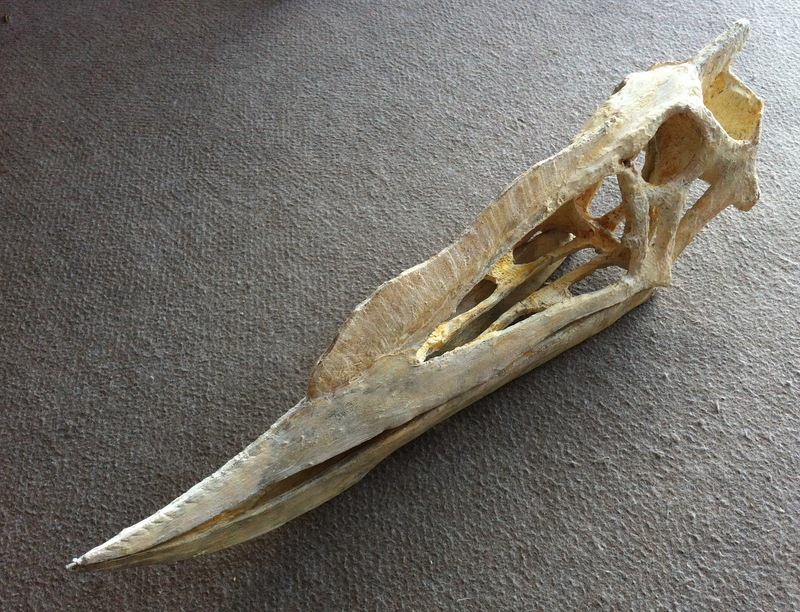 This is a view of the skull (without the mandible). And this is what it looks like underneath so far (a lot of work to do there still). We can add the mandible and now it smiles! 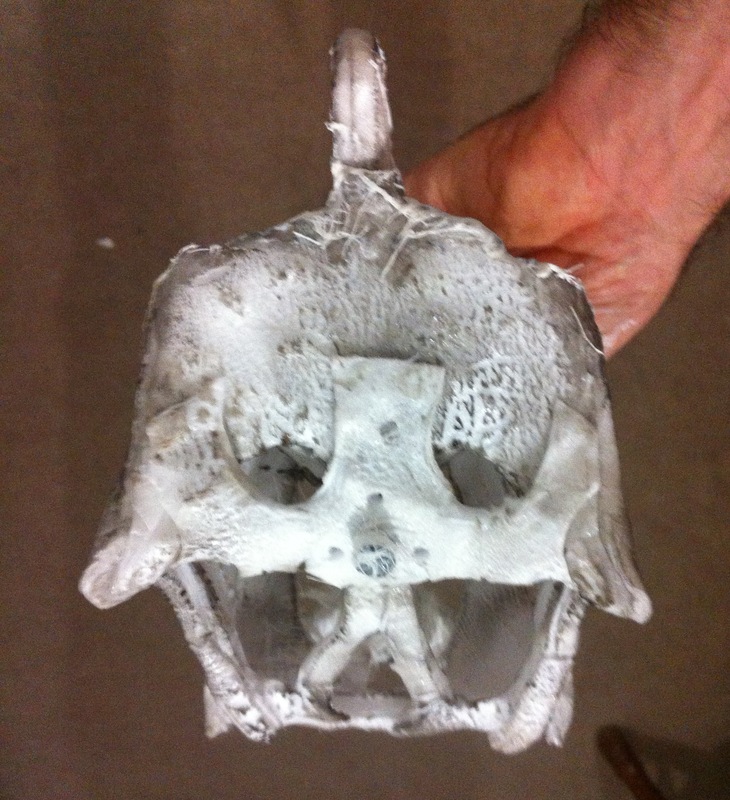 And this is a dorsal view of the the skull. 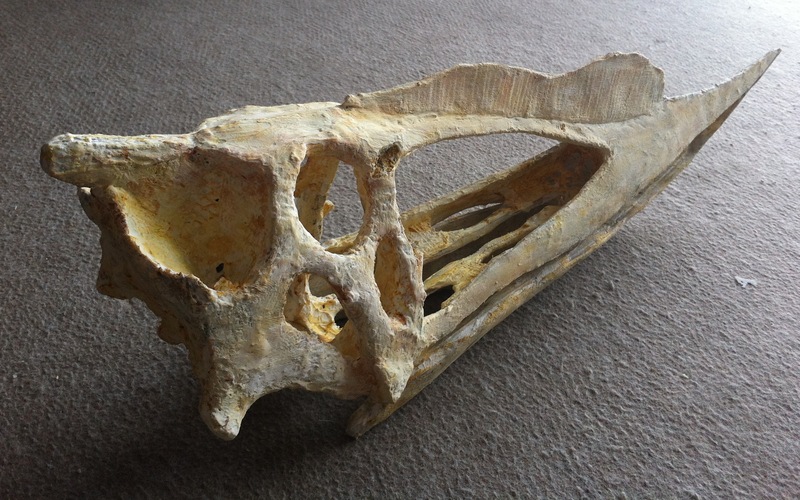 Compare it with this real fossil of a Dsungaripterus (from David Hone’s Archosaur Musings. The angle in my photo is slightly different, but my goal is to have it look exactly like that (without the teeth of course, since my pterosaur is not a Dsungaripterus but a related toothless species). 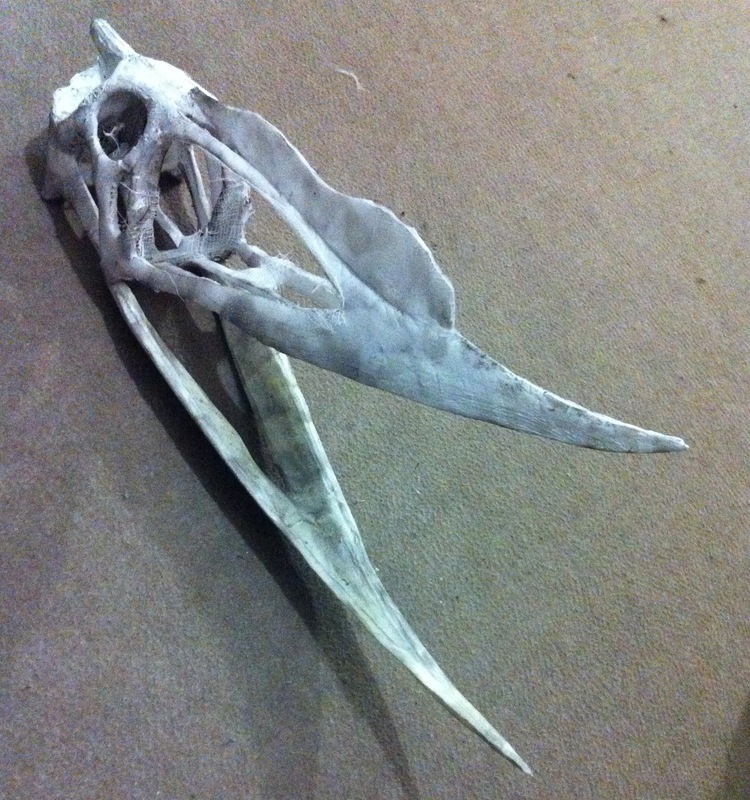 In the foam sheet where I dug out the Tupandactylus (which is still under construction), there was another pterosaur. This is probably an unknown species and I will comment about it later. 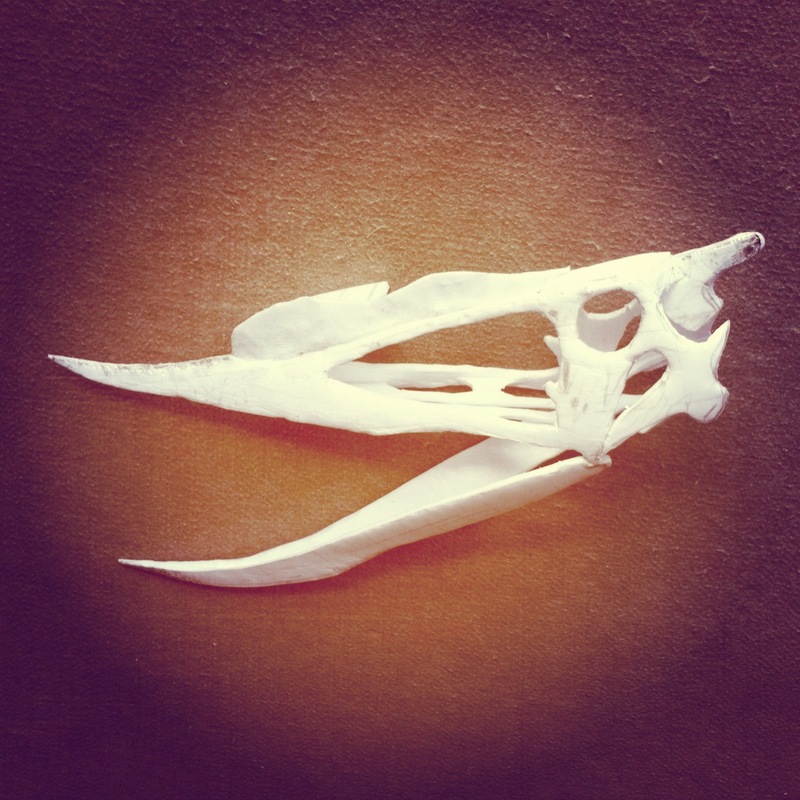 It is a dsungaripterid pterosaur, related to the Chinese Dsungaripterus. But it seems to have no teeth! Well, maybe we will find out later that it is something else, but this is the Imaginary Pterosaur project, so finally we imagined something like this. Two halves, already cut out. 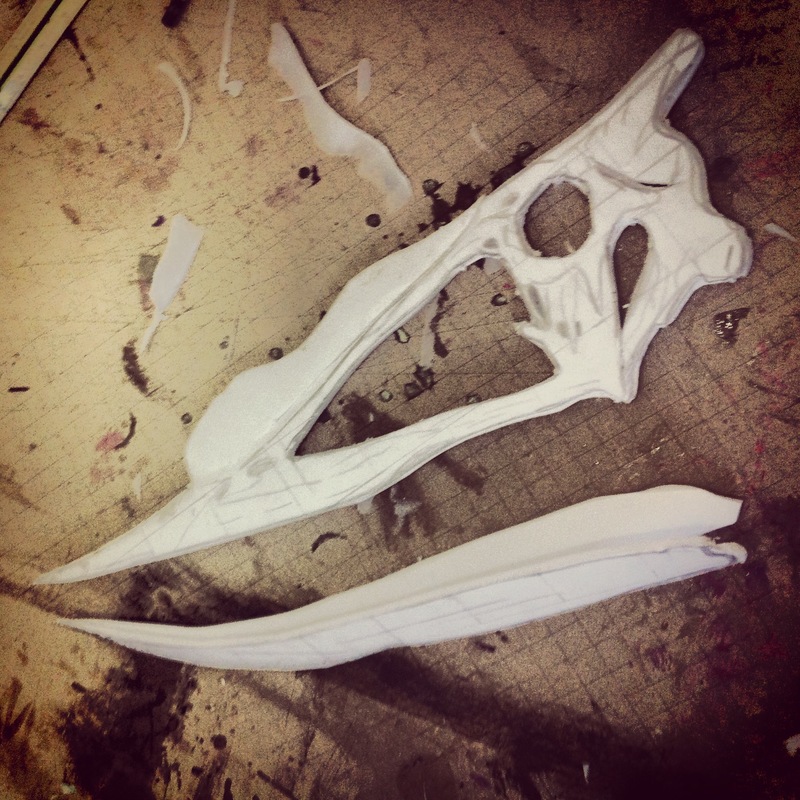 From there, I trimmed the foam at an angle to attach the lower edges of the mandible, and the upper edges of the beak. Then I separated the rear crest so I could later add some foam to make a better 3D head. A bit of folding and we have something in 3D. That was only about an hour and a half of work. Next day, after working a bit on the Tupandactylus, I cut out the insides of the head, molded a bit more and now have another skull to work on. 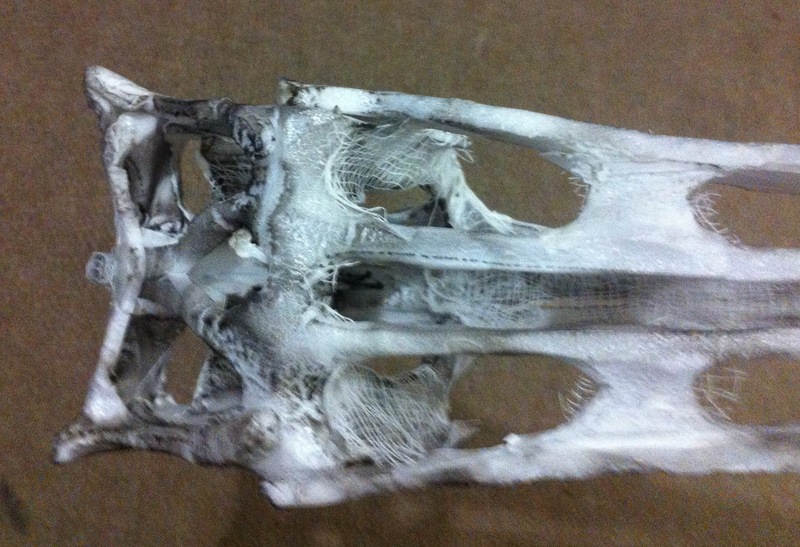 Here is what Pterosaur #4 looks like after fitting the mandible. Today I expect to finish the foam parts of both the Tupandactylus and this still unnamed Dsungaripterid. 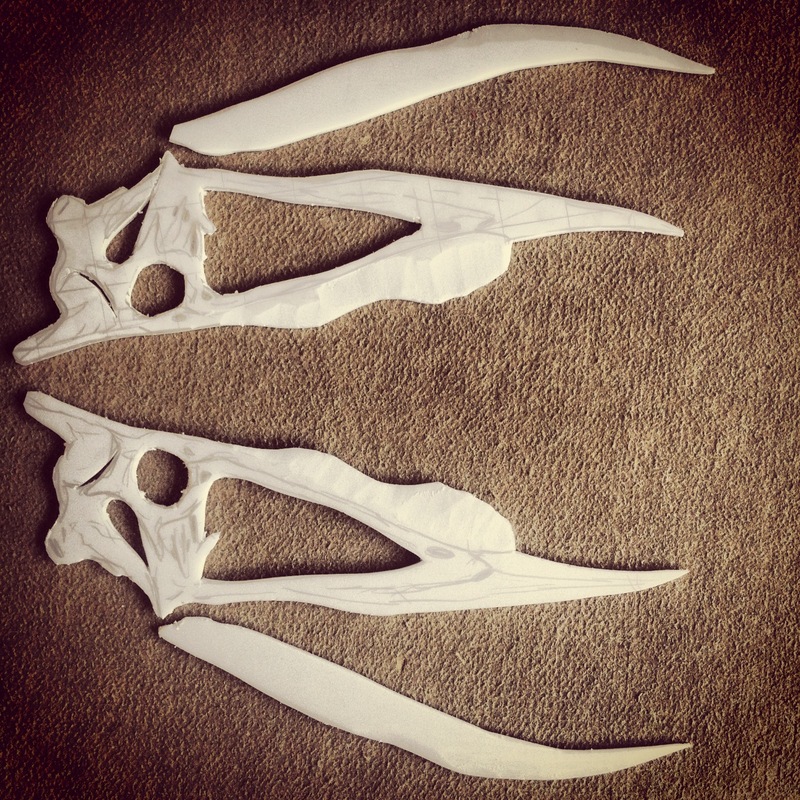 If both are done before Friday, I might have time to begin my search for the fifth Imaginary Pterosaur.